The Euro is the official currency of the Eurozone, which is a monetary union comprised of 19 (from 28 total) European Union member states. These countries have adopted the use of the Euro as the common currency. The other 9 members of the European Union have decided to use their own national currencies rather than adopt the euro. However, it is only a matter of time until this currency is adopted throughout the rest of the European Union. A few other countries and states belonging to the European Union have had formal agreements with the organization to adopt the Euro but issue their own coins. Some of these are Andorra, Vatican City, Monaco, and San Marino. This currency is the most tangible proof of integration among European nations. It is currently being used by more than 338 million people. The benefits of an integrated currency among various countries in Europe is obvious for anyone traveling abroad, especially within the countries in the European Union. The unification of the Eurozone member states in the use of the Euro is more than just to simplify trade activity. It is also a coordination of fiscal and economic policies. The benefits of the unified currency and economic activity was evident in the economic crisis that plagued some European countries in 2007-2008. There were provisions from the Eurozone to grant emergency loans to member states, if necessary. Moreover, the Eurozone can also provide peer review of the national budgets for each state. In January 1999, the Euro was launched and three years later, the first coins and banknotes were released in circulation. In addition to the countries listed above, the Euro is also used as currency by the institutions of the European Union and other European countries like Kosovo and Montenegro. In addition, a few British and French overseas territories had been granted the right to use Euro as its main currency. The territories located outside of Europe that have adopted the use of Euro are Saint Barthelemy, French Southern and Antarctic Islands, Saint Pierre and Miquelon, and Akrotiri and Dhekelia, the last two of which are British Territories on the island of Cyprus. 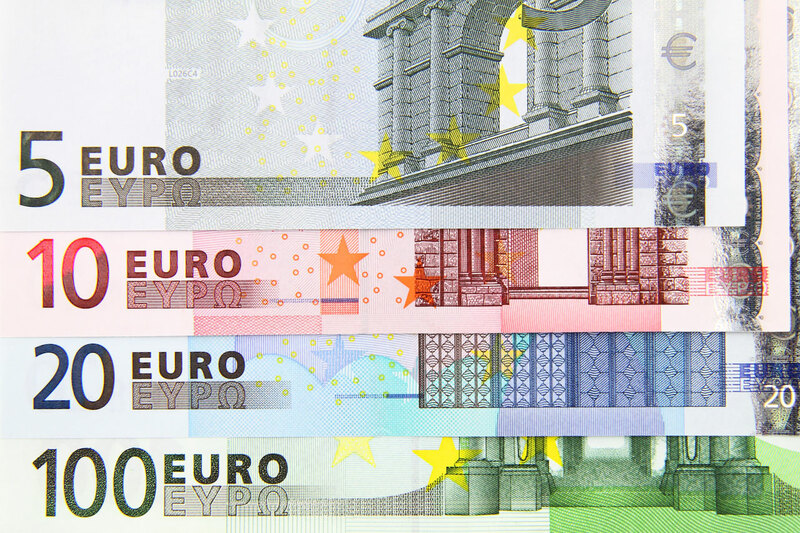 There are seven different denominations of Euro notes: €5, €10, €20, €50, €100, €200 and €500. Each has designs of fictitious architectural elements which generically represent Europe. Fictitious images were used so to not give preference to any one country. There are eight different Euro coins denominations in circulation: €0.01, €0.02, €0.05, €0.10, €0.20, €0.50, €1 and €2. Each country mints their own coins. The amount they are allocated to make is dependent on the size of their population.